Who will have the better Super Bowl performance in the quarterback battle between young vs. old? 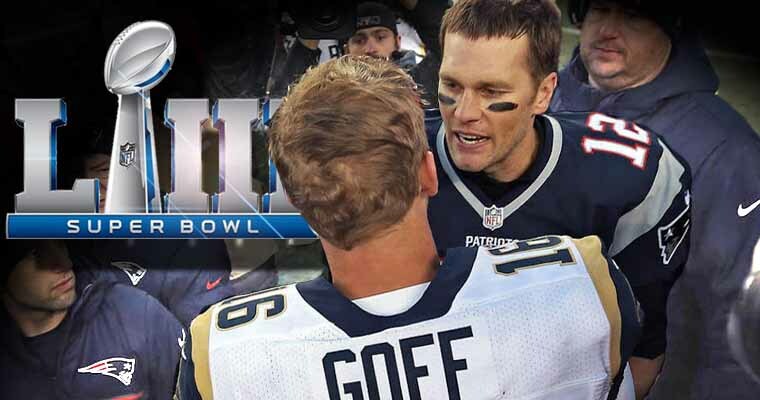 Bovada has released betting odds on the player props for the quarterback position in the Super Bowl 53 matchup between Patriots quarterback Tom Brady and Rams quarterback Jared Goff. When the two meet in Super Bowl 53 on Feb. 3, the matchup will feature the biggest age gap between opposing quarterbacks in the history of the big game with a difference of 17 years between the two. Brady, who is 41 years old, will top his own record that he set during last year’s Super Bowl, where he became the oldest starting quarterback. On the flip side, the 24-year-old Goff becomes the fourth-youngest quarterback to start in the title game. Below are Bovada’s odds for each of the quarterback specific player prop bets that are available on Brady and Goff for Super Bowl 53.